Chiropractors can help patients with problems such as chronic back pain, locked joints and with recovering from a whiplash injury. Locked spinal joints are one of the issues that chiropractors can address. What Is A Spinal Joint? Spinal joints are more commonly referred to as facet joints. 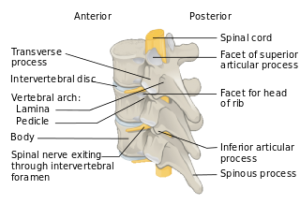 These joints can be found between the 33 vertebrae that make up the spine. 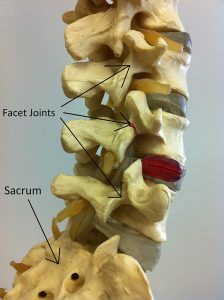 Facet joints are made from cartilage and their role is to keep the spine flexible. Nerves go through the face joints to connect the spine to different parts of the body. What Are The Symptoms Of A Locked Spinal Joint? Back pain is the most common symptom of a locked spinal joint. If the locked facet joint is putting pressure on a nerve, you might experience a loss of feeling or a tingling feeling in an area of your body. Some patients report experiencing a sensation that is similar to an electrical jolt in their spine when pressure is applied on a nerve. However, not all locked joints affect nerves and you might only experience back pain and reduced mobility. How Do Spinal Joints Get Locked? Throwing your back out can cause spinal joints to lock or to end up out of alignments. You can also get a locked joint because of poor posture or sleeping on a mattress that doesn’t properly support your back. 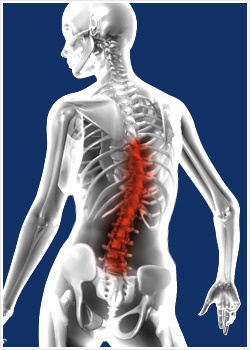 Accidents and injuries sometimes cause locked spinal joints. A lot of patients are not able to pinpoint an exact cause and might live with a locked spinal joint for a while before the cause of their back pain is diagnosed. A chiropractor can perform a series of adjustments on your spine to unlock the facet joint. This will free any nerves that are pinched by the locked joint. In more extreme cases, surgery might be needed to unlock the facet joint. Some patients can also benefit from physical therapy to recover from an injury that affected their spine or to improve their posture. Pain medication is sometimes used to manage the pain associated with a locked spinal joint but this approach does not address the root of the problem. Chiropractors use manual adjustments to treat a number of ailments. Chiropractic treatments are non-invasive approach and an efficient way to treat a locked spinal joint. A single session might be all you need if you threw your back out or if a spinal joint ends up locked or misaligned after an accident. If you are suffering from chronic back pain associated with a bad posture, you might need a series of chiropractic sessions. If you are in the Rocky Hill, CT area, Rocky Hill Chiropractic is an excellent choice for chiropractic treatments. You should get in touch with this treatment center to find out more about your options if you are suffering from a locked spinal joint. The chiropractors at Rocky Hill Chiropractic can also help with a number of issues such as chronic back pain, neck pain, bad posture and joint pain. Get Help With Your Locked Spinal Joint By Clicking Here!